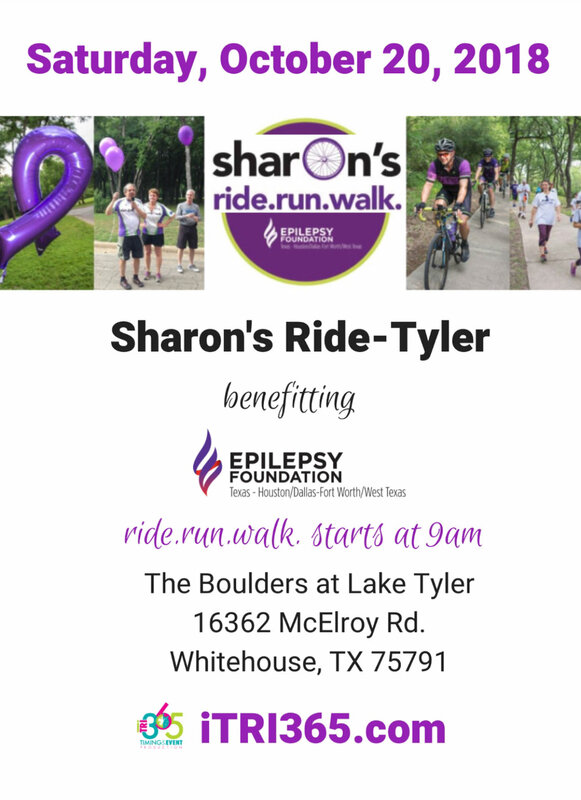 On October 20, 2018, East Texas will be hosting Sharon’s Ride, a cycling and running race to raise awareness for epilepsy and brain injury. There are three cycling distances, a 5k Run/Walk and a Fun Run. The event will be at The Boulders at Lake Tyler, an excellent venue for a race. Use discount code NETexas to save $10 on your event registration. If you join NETNA’s team, you will get a free #EPILEPSY shirt. For more information and to register, go to itri365.com.